This Dinner Gala marks the 75th Anniversary of NOTS-Inyokern and the 25th Anniversary of the China Lake Museum Foundation. 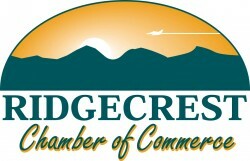 This event will be the end of a fabulous 4 days here in Ridgecrest that you will not want to miss! Tickets for this event are available at The China Lake Museum, located at 130 E. Las Flores Ave. Ridgecrest, CA 93555 or by calling 760-677-2866 or by email at chinalakemuseumstoremanager@gmail.com Tickets are: $45 for those 25 years and under or 75 years and older. $60 for all others There will be NO tickets available at the door for this event. As this will be a sold out event. Get your tickets early for the best seating available. $45 for those 25 years and under or 75 years and older. $60 for all others There will be NO tickets available at the door for this event. As this will be a sold out event.